We love making slime! 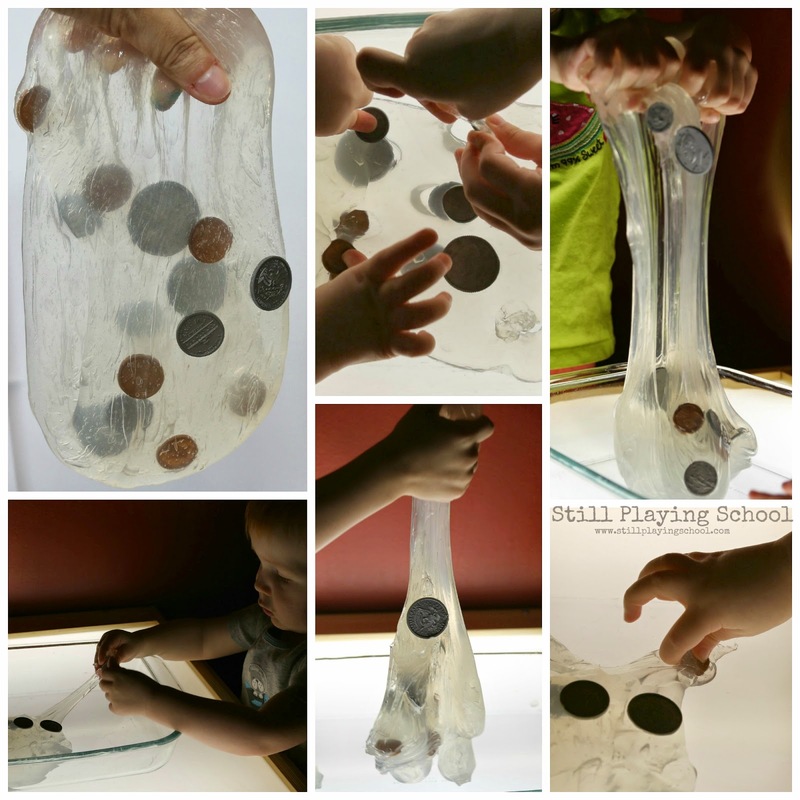 For this math activity for our kids we added coins to the slime to introduce the concept of money. 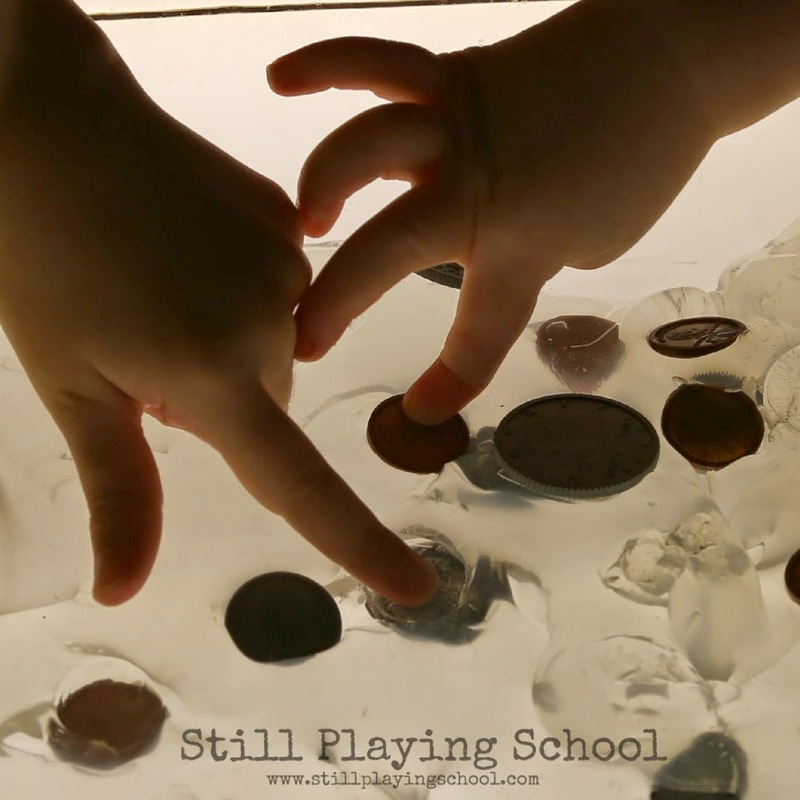 Wait until you see how it looks on the light table! 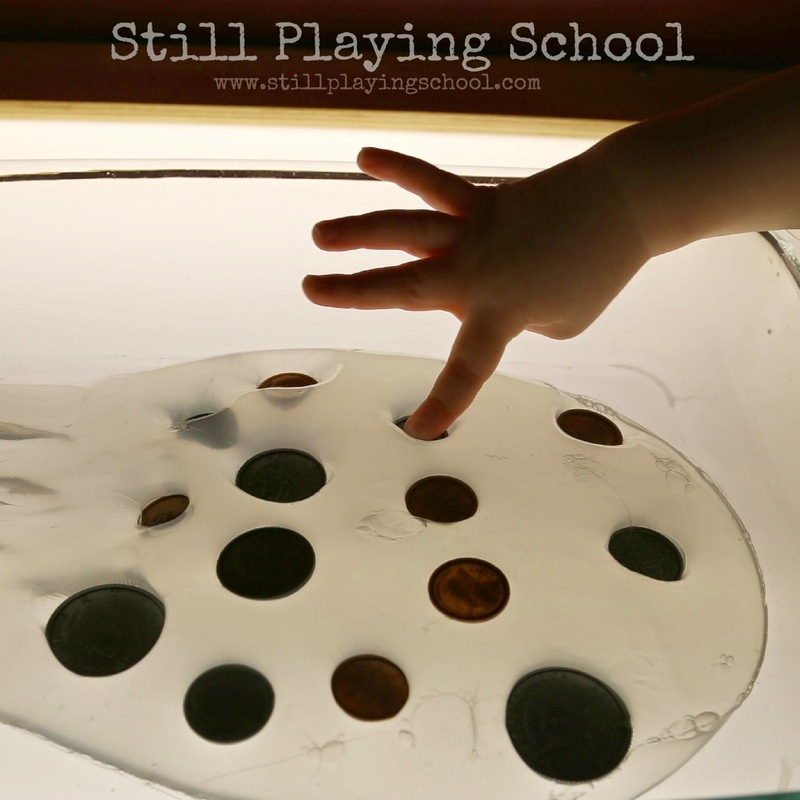 We used the same clear slime we created for our Letter Stamping on the Light Table activity but this time we added our pretend coins. 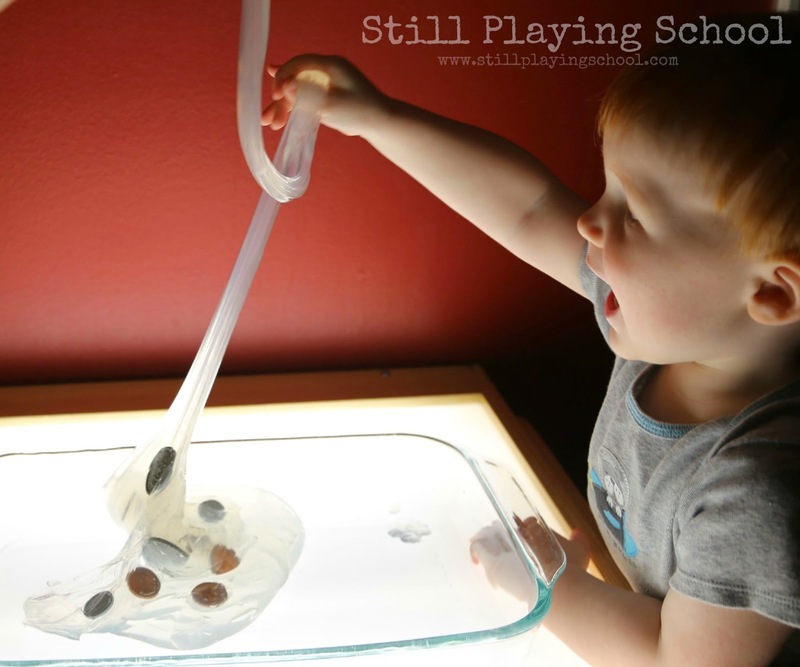 We set our money slime in a glass baking dish on our ALEX Toys Prism Light Center. 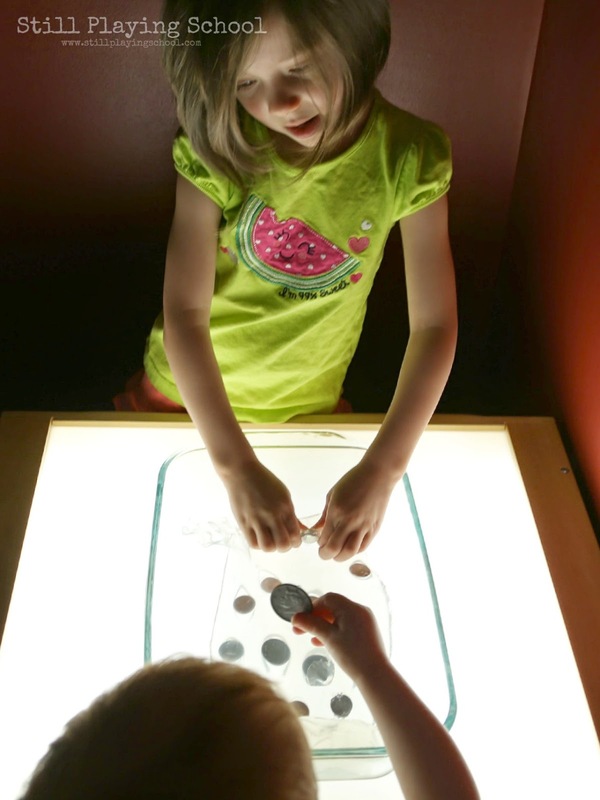 The kids used their fine motor skills to push the coins down into the slime. Once the coins had settled down into the slime they took turns digging them out. We named the coins, discussed their properties, and talked about their values. 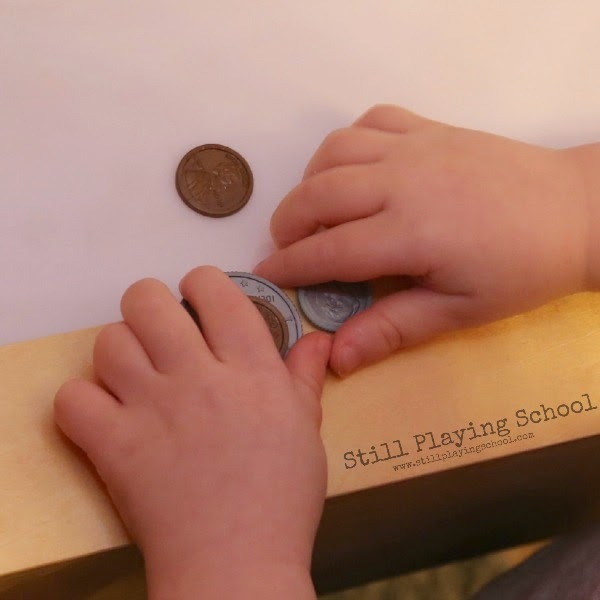 Of course, with all children, but especially with toddlers you should supervise play with small objects like coins. 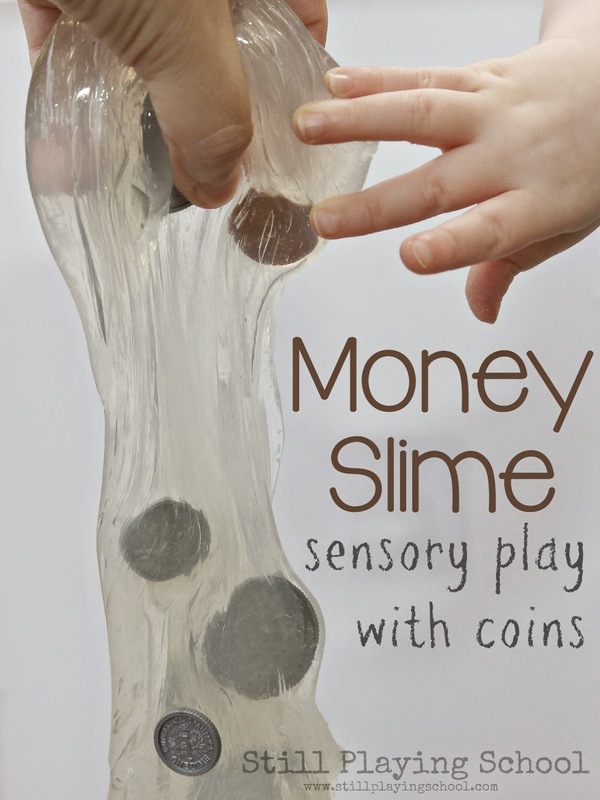 Our kids are past the tasting while they play stage so our money slime was the perfect sensory invitation for them to explore! We have reused this same batch of slime several times for different activities. It is now almost 3 months old and still going strong. We keep it in an air tight container at room temperature. I love the fine motor and sensory work involved as the kids push items into the slime then dig them back out! Think of all the endless educational possibilities! We would have never been brave enough to venture into making slime (and fixing our botched first attempts at it too) if we didn't have Asia writing all her amazing and detailed sensory play recipes over at Fun at Home with Kids. 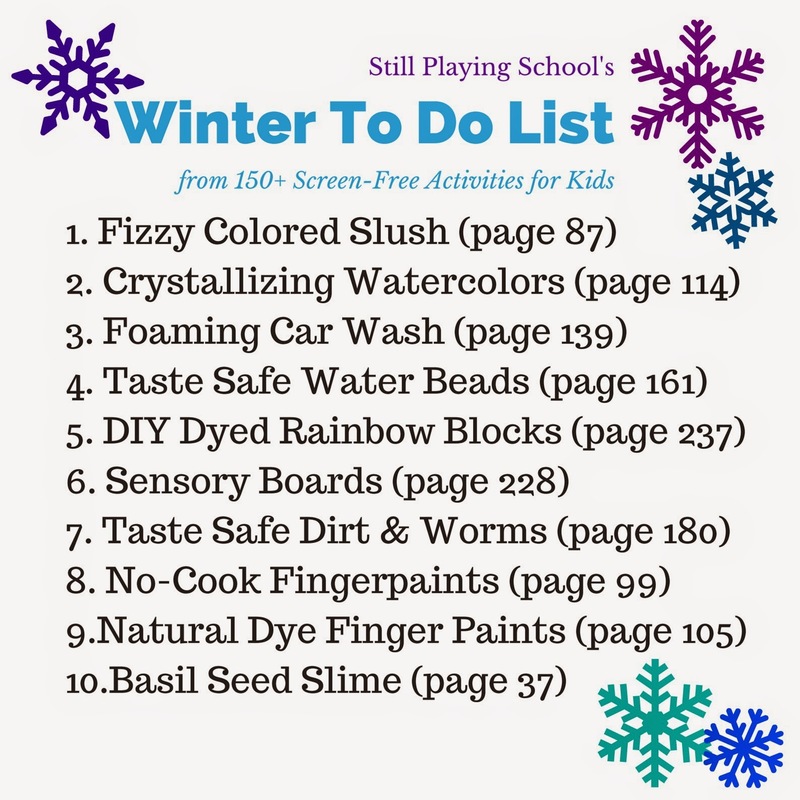 Now her slime how to and more is in the brand new book she's written filled with her best ideas called 150+ Screen-Free Activities for Kids! 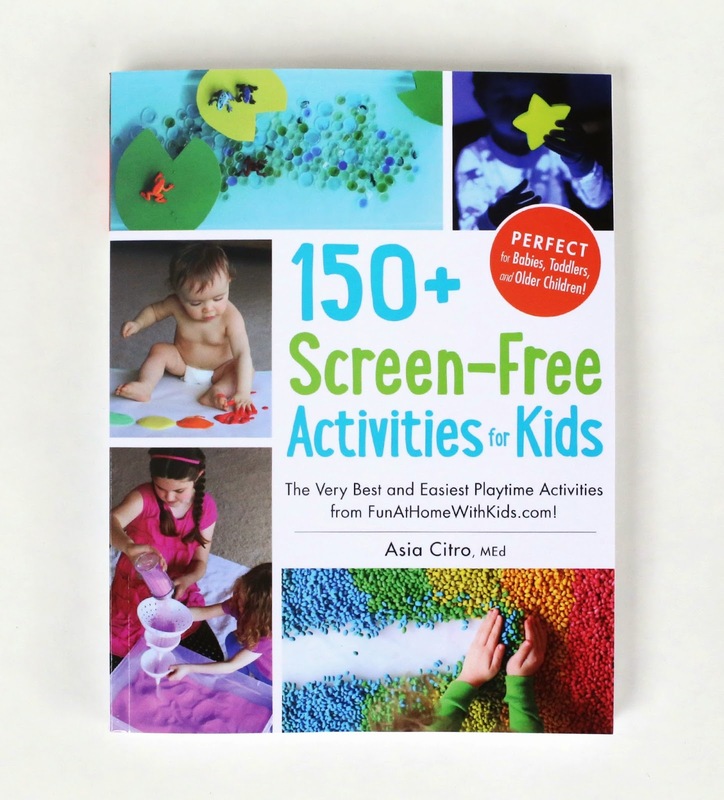 From small worlds to DIY toys to recipes for play 150+ Screen-Free Activities for Kids has it all! I always love all of Asia's expertise on invitations to play because she brilliantly combines her chemistry background for her passion for teaching her own kids at home! "I want to look at this book, okay? Is it projects? Look at that baby in the ball pit! That's funny! (turns page) Oh, this is bugs in jello! And shaving cream with colors! Blue and green. (turns page) It's yellow glittery slime. When you hold it, it's melting. (turns page) I think they made that out of real grass and gems. That looks fun! (closes the book) I like it!" Asia generously gifted us a copy of her book for this review but, as always, my opinions and enthusiasm (and E's too!) are 100% authentic!